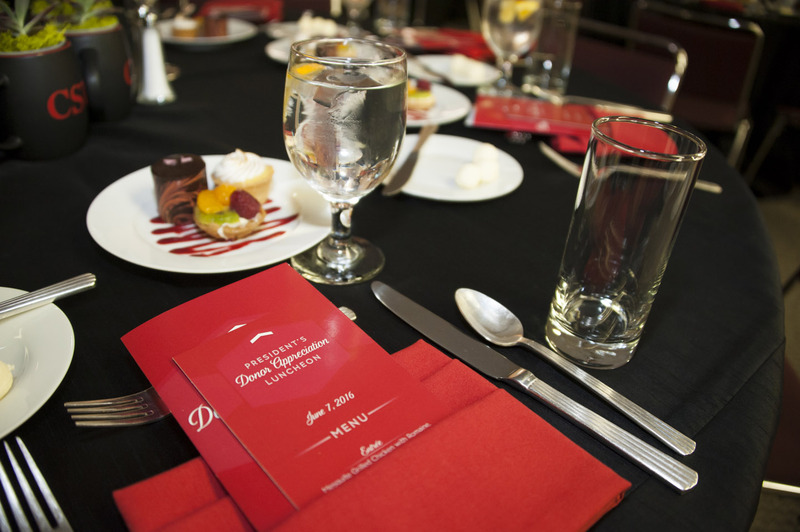 The President's Donor Appreciation Luncheon was held ﻿﻿on June 7th to celebrate the generosity and commitment of the Heritage Society and President's Associates toward CSUN and its students. It was a time for reflection and appreciation of what the university has achieved with its alumni outreach efforts, with CSUN President Dianne F. Harrison remarking on the ways positive contributions from alumni are received by the campus. 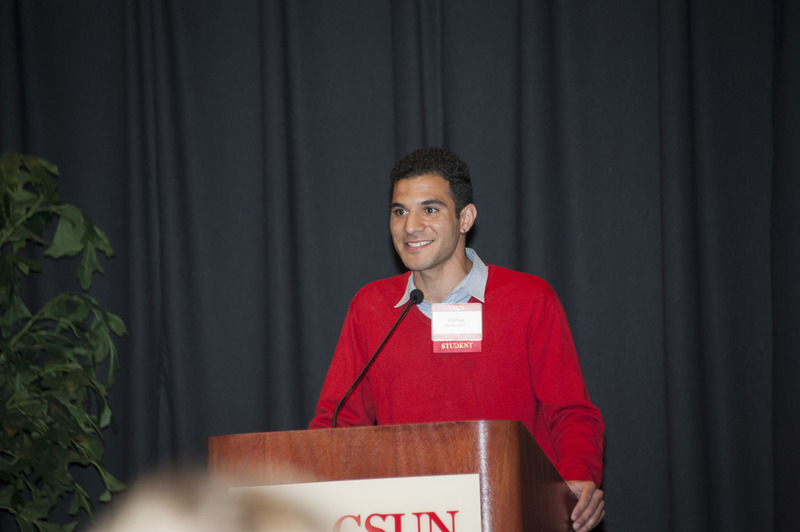 Sidney A. Luckenbach Memorial Award recipient Joshua Khabushani '16 (Psychology) spoke on his experience at California State University, Northridge, and how the award helped him accomplish his goals. More than 200 devoted alumni, faculty and staff, and friends of the university heard firsthand how their generosity has made a life-changing difference for California State University, Northridge scholarship recipients at the recent President’s Associates and Heritage Society Donor Appreciation Luncheon, which took place on June 7. CSUN President Dianne F. Harrison welcomed the donors to CSUN and shared how alumni giving and other philanthropic support have enabled the university to help more students reach their goals. She noted that CSUN’s alumni giving numbers have grown steadily since 2012, rising from 12th in the CSU to second in the system. CSUN’s President’s Associates and Heritage Society organizations aim to raise money for the campus through alumni and donor contributions on an annual basis and through planned gifts to the university. Vice President for University Advancement and President of the CSUN Foundation Robert D. Gunsalus began the program by expressing appreciation for all those in attendance. “For both groups represented here today, thank you on behalf of all the students and faculty and alumni who have benefited from your generosity over the years,” Gunsalus said. 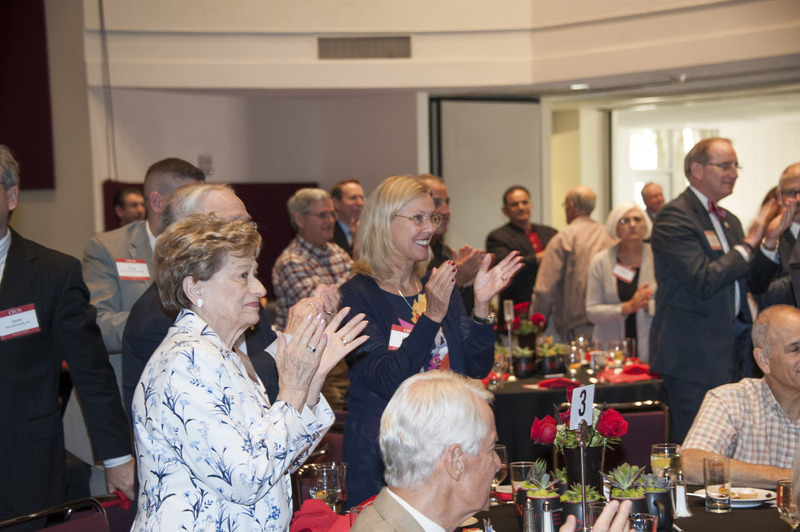 The program featured recent alumni, who spoke about how they benefited from financial assistance and wanted to do the same for future generations of Matadors. Also in attendance was Cherry Hendricks, vice president for the President’s Associates, who spoke about the pride she feels being involved with the campus again. Raymond Calnan ’03 (Finance) of the Heritage Society also spoke about his contributions and why he decided to give back. The work that President’s Associates and Heritage Society members already had accomplished meant opportunities for students who would never have dreamed of attending a four-year institution such as CSUN, let alone graduating from one. Armine Tadevosyan ’15 (Theatre) spoke about how her scholarship set her on a career path that she would not have been able to forge by herself. Recent graduate Joshua Khabushani ’16 (Philosophy) spoke about receiving the Sidney A. Luckenbach Memorial Award, a scholarship established by the family and friends of former CSUN philosophy professor, Sidney Luckenbach Sr., and how it has inspired him to pursue a future that he once thought was impossible.